NIVÅ WHITE is an openwork bookcase in a contemporary minimalist style, consisting of a steel frame and five wooden shelves. 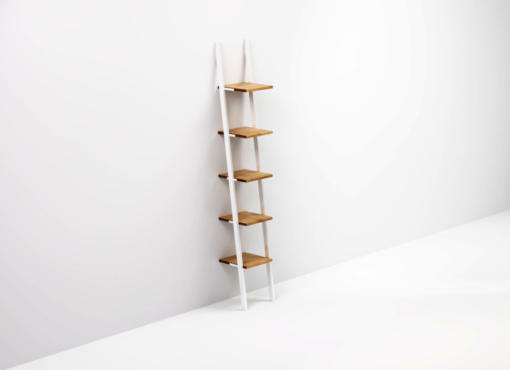 Functionality, simple design and a combination of white colour and natural wood are the main features of the Scandinavian style. 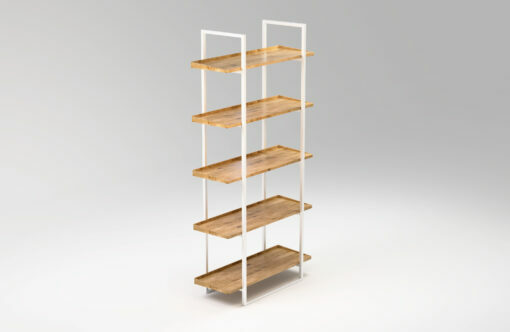 The white bookcase fit perfectly into modern interiors and is the perfect choice for both home and office. 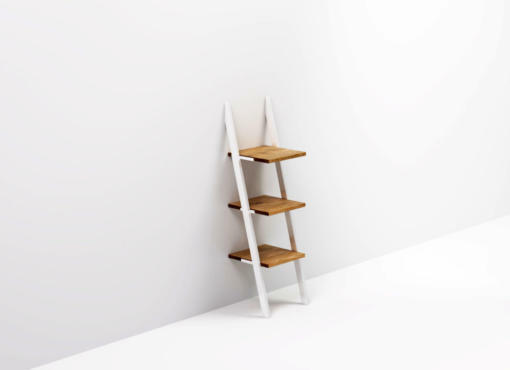 Shelves are made of natural oak wood and have raised edges, at the back and at the sides, to reduce the risk of items slipping off the shelf by accident. Solid metal frame provides stability and durability despite the lightweight form. The smooth glossy surface of the steel shines nicely in the sunlight and the open design allows plenty of light on the shelves. Therefore, the bookshelf seems to occupy less space then it does in reality, and even the living potted plants will have enough light to grow and look good on it. 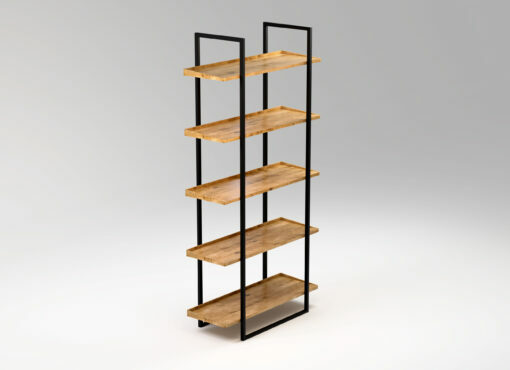 The minimalist shelving unit looks great in modern interiors and has a large number of applications. Thanks to the calm, neutral colours scheme, the white bookcase fits into the bedroom interior or children’s room. It is also extremely practical in the kitchen and home pantry, where all the necessary items can be stored. The openwork design makes it possible to use NIVÅ WHITE as a partition wall for separating zones in an open plan house, studio or loft. In the living room it will allow you to display your favourite items in an elegant and interesting way.